He is. And a big time writer of some major R packages. Came Across this link on Stack Exchange with lots of great resources for R.
As I develop my code writing I'm in need of debugging techniques. This link (LINK) from Stack Overflow is a great resource for some debugging options. I just picked up a book from the university library called ``Data Mining With R'' by Luis Torgo. It's by no means a begginers book but for a mid skilled R user the book has some nice explanations. I've never really gotten into imputation (in my field missing values are usually deleted listwise; but why? That's garbage if you've got techniques that may be appropriate) but this book has a chapter introducing the topic in a pretty elementary way. I'm only on chapter 3 but have loved it thus far. The explanation of tree models and pruning is quite nice. 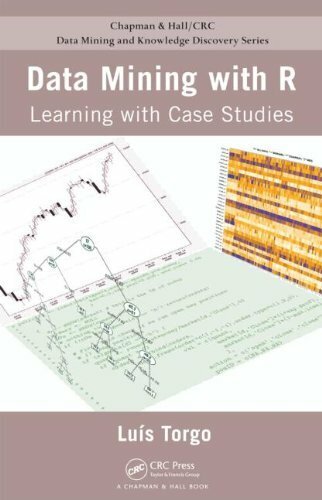 If you're into data mining or have wanted to learn more about it I'd definitely recommend this book. Looks like biola university has a copy available in my interlibrary loan program. Hopefully I can get it in the next week or so! Would there be any objection if I went through this thread and consolidated the links into the initial post by Tart? I would add a note at the beginning of the post mentioning that the OP is being updated. No that would be extremely helpful. If you are learning R and already know another package, R for SAS and SPSS Users or R for Stata Users will take advantage of what you already know and translate that into knowledge of R. The table of contents and index lets you look things up by what SAS / SPSS / Stata would call something or what R calls it. You can read reviews of it at http://r4stats.com/books. There are also lots of examples of things done in R, SAS, SPSS and Stata at http://r4stats.com/examples. Your books are how I got into R and how I now teach others. Lovely to have you on board Bob! It's not terribly short but is very useful for anybody doing any sort of computation using floating point arithmetic. Nope but you could always start a thread if you have a specific question. Sorry it indeed works, I just had problems with the redirection..
Hope the videos stay up.